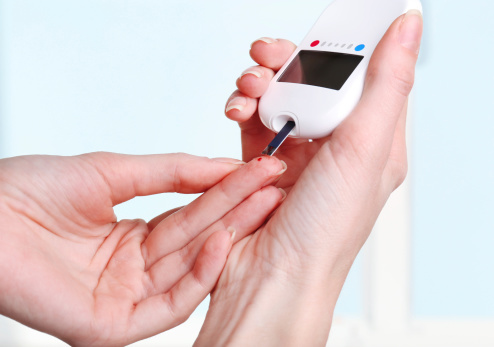 HealthDay News — For individuals without diabetes, certain fasting blood glucose (FBG) trajectories are associated with the risk of future myocardial infarction (MI), according to a study published in Diabetes Care. Cheng Jin, from the Kailuan General Hospital in Tangshan, China, and colleagues conducted a prospective cohort study involving 68,297 participants without diabetes free of MI, stroke, and cancer prior to or in 2010. The authors measured FBG concentrations in 2006, 2008, and 2010, and the trajectories were identified by latent mixture modeling. Based on FBG range and changing pattern over time, the researchers identified 5 discrete FBG trajectories: elevated-stable, elevated-decreasing, moderate-increasing, moderate-stable, and low-stable. A total of 283 incident MI cases were documented during 4 years of follow-up. Compared with the moderate-stable pattern, the adjusted hazard ratios were 1.53 and 0.61 for elevated-stable and elevated-decreasing patterns, respectively, after adjustment for potential confounding variables. During 2006 to 2010, cumulative average and increasing rate of FBG, but not a single baseline FBG, predicted future MI risk. “These observations suggest that long-term trajectories of FBG may be important for risk prediction of MI and possibly other macrovascular diseases,” the authors write.